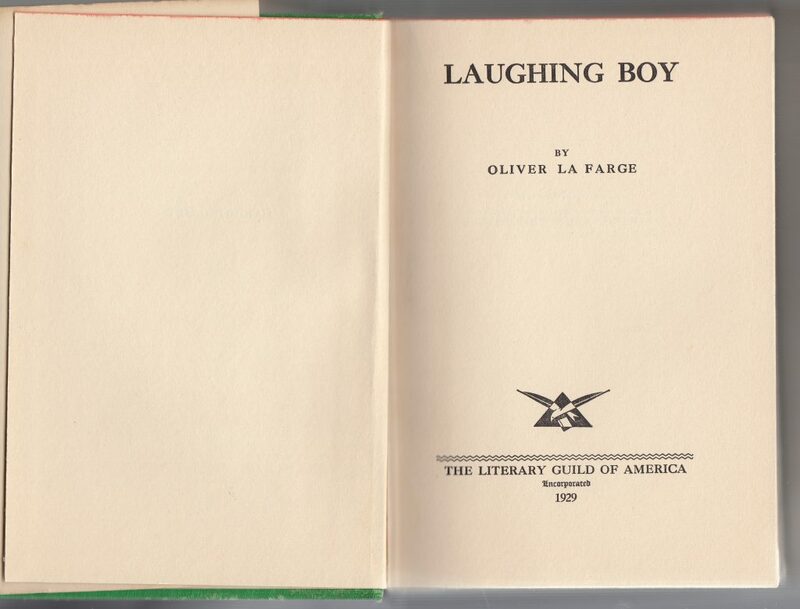 Technically, these titles are not reprints but are actual editions issued at the same time as the original book, at a cheaper price, with the Literary Guild imprint, and in different bindings and jackets. A 1927 circular, advertising the Guild can be found here. This 1928 copy of The Great American Band Wagon by Charles Merz was among the titles issued the first two years of the Literary Guild. 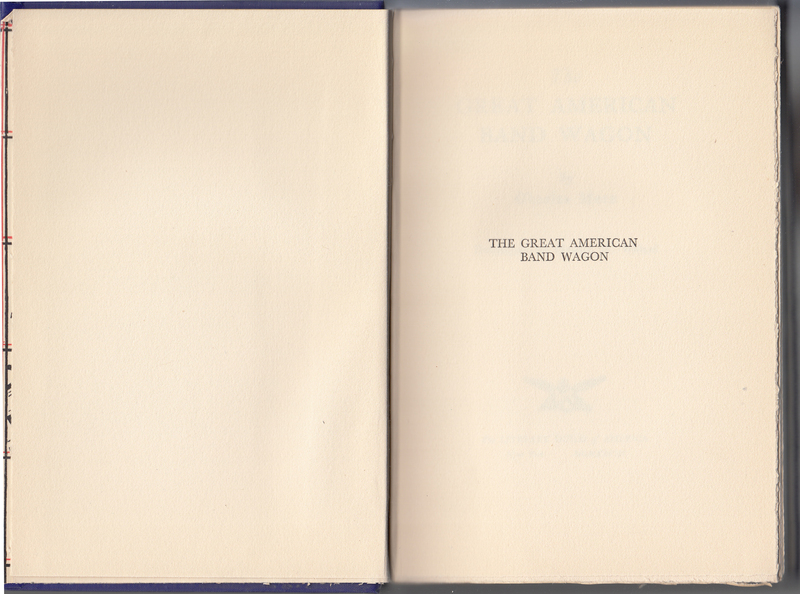 Jackets are common to the series, with the Literary Guild name noted on both the spine and jacket front. The front jacket flap is blank, and there is no price on the jacket. The paper color for these style jackets varied. The back of the jacket and rear flap are blank. The blue cloth binding has gold typography and graphical elements which mimic the design of the actual publisher’s book. 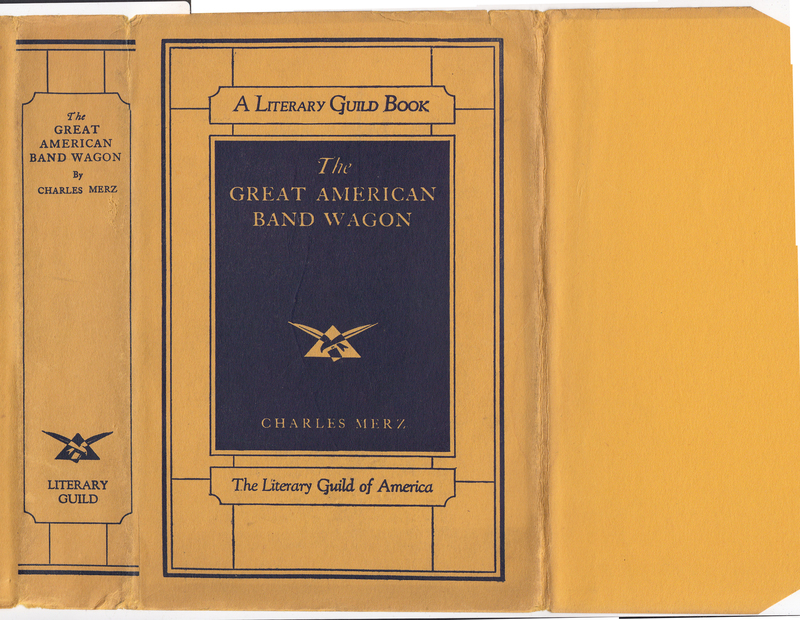 The Literary Guild’s bird-inspired colophon is on the book’s spine. 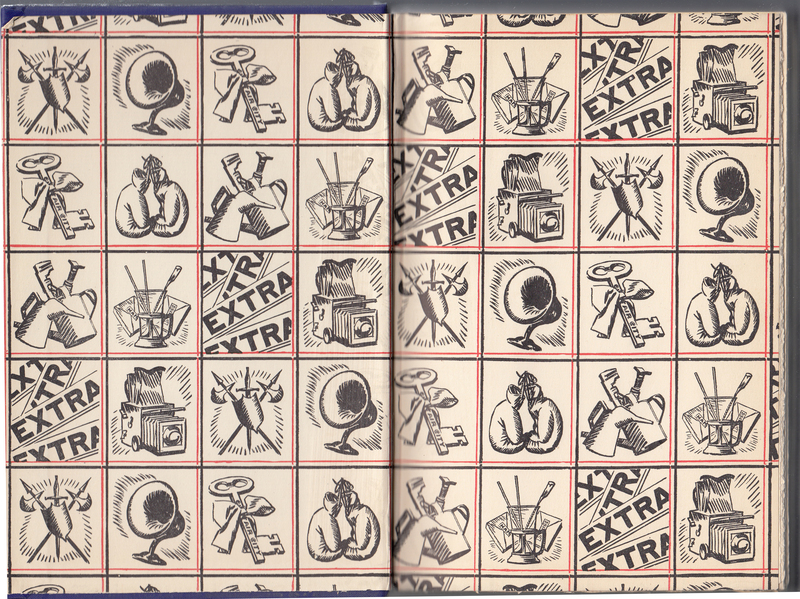 The endpapers relate to the book and are the same images used on the actual book’s endpapers. 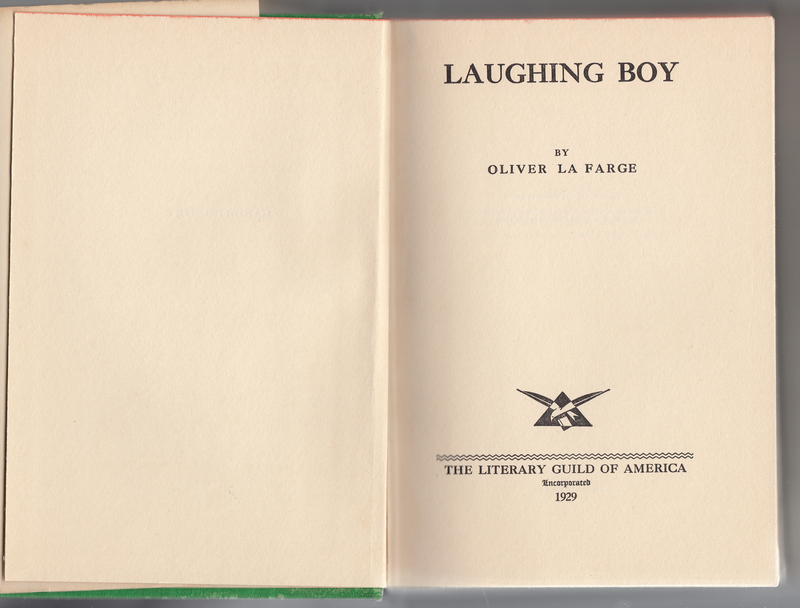 The title page, with the Literary Guild imprint and date (1928). 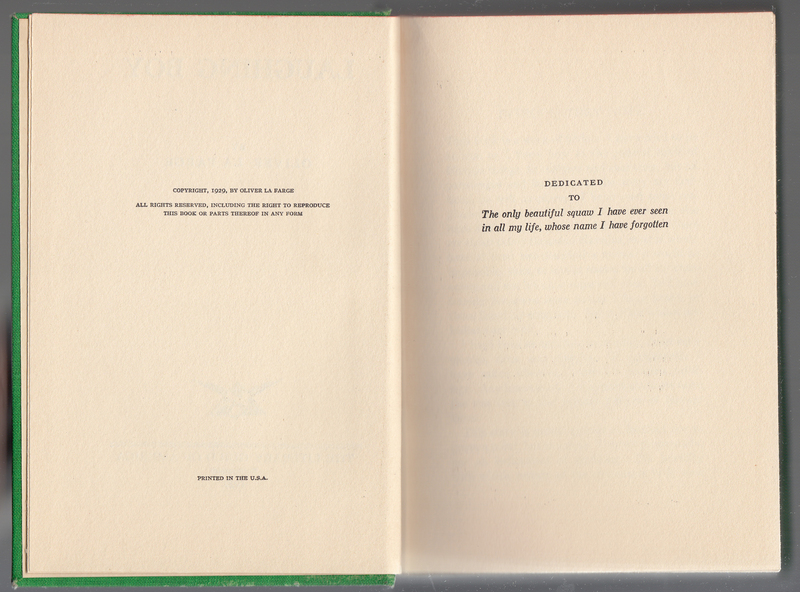 The copyright page has the date of publication along with earlier copyrights (to Harper’s Magazine, where some of the material in the book first appeared). A First Edition indicator is also found on this page. 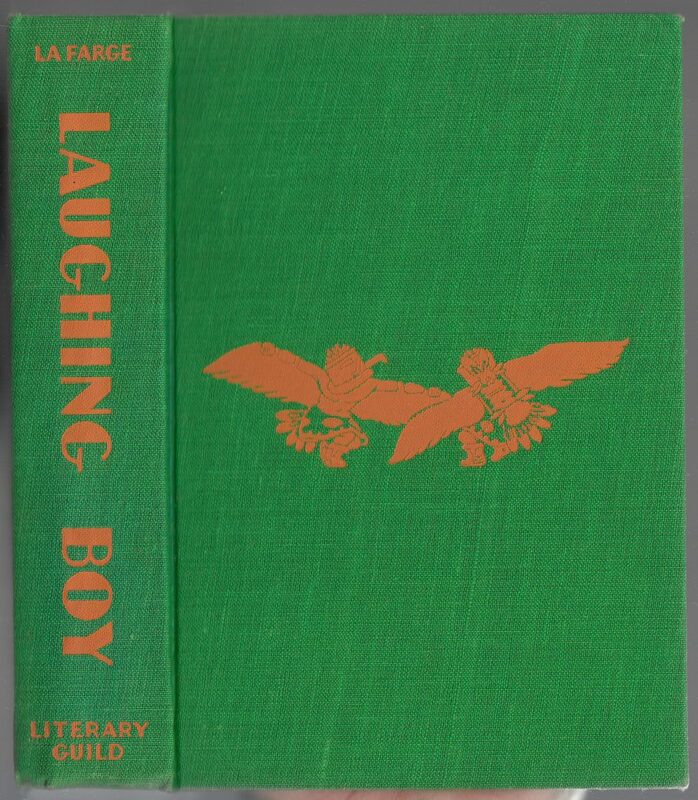 This 1929 copy of Oliver La Farge’s Laughing Boy sports a new jacket design, based on the Literary Guild’s bird colophon repeated and colored. 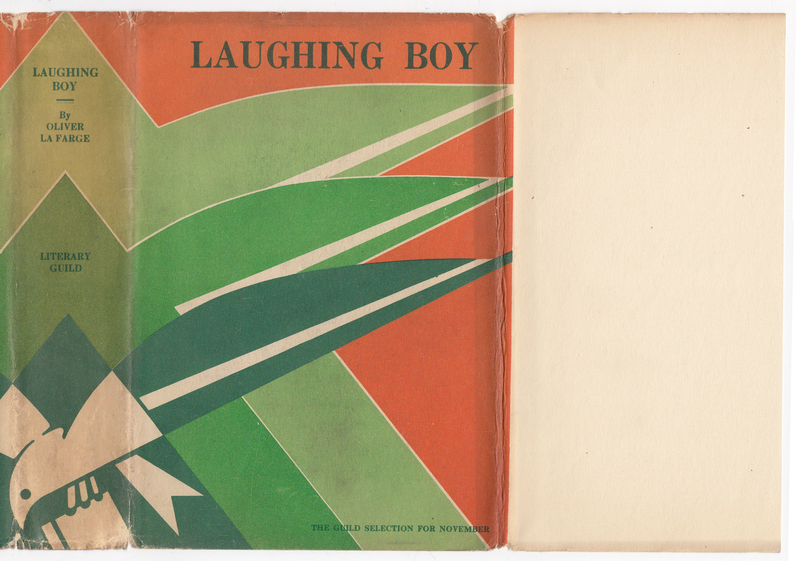 The colors used with this design varied from title to title. 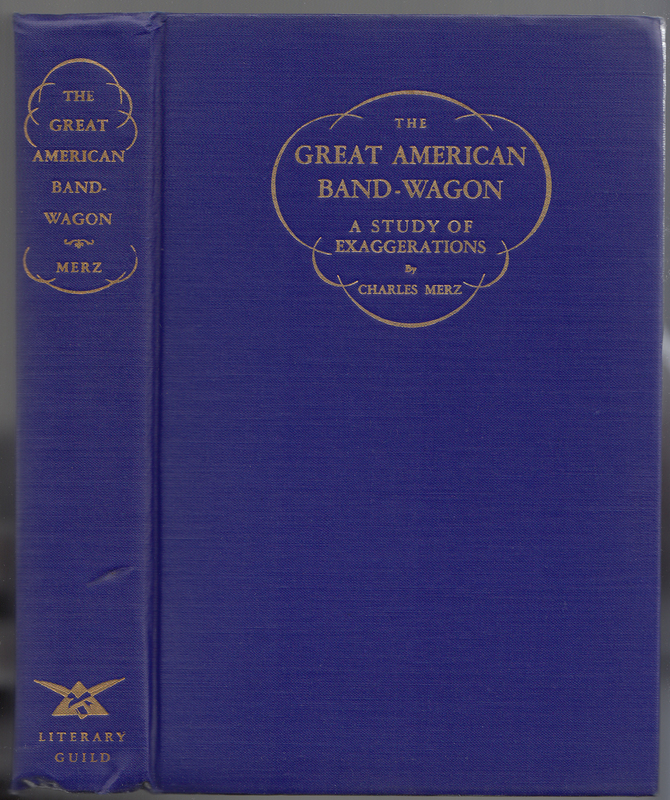 The month of issue (November) is now included on the jacket front, near the bottom. The jacket flaps are, as with the earlier title, blank. The design from the front of the jacket extends to the back of the jacket, but with no text on the rear or rear flap of the jacket. 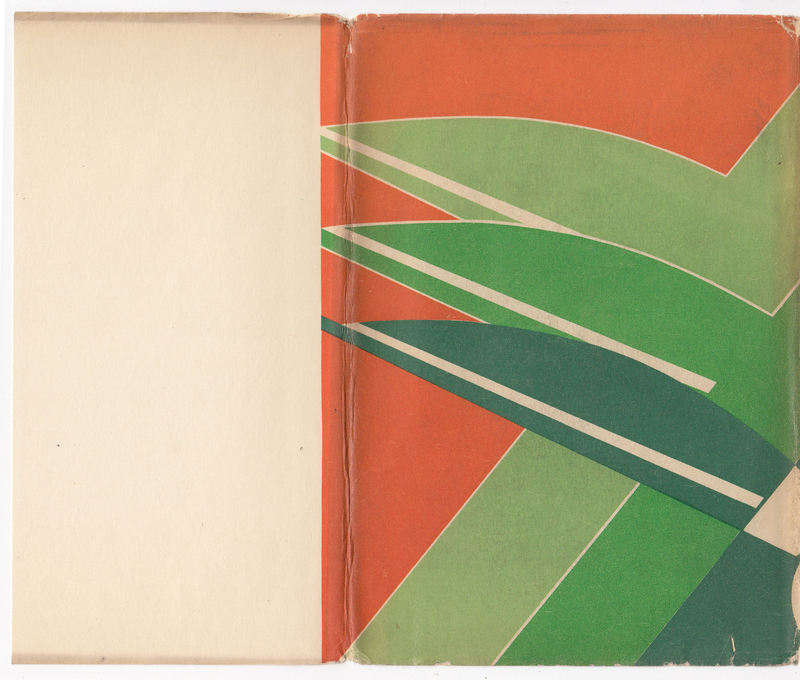 The green cloth binding has contrasting orange type and graphical elements. 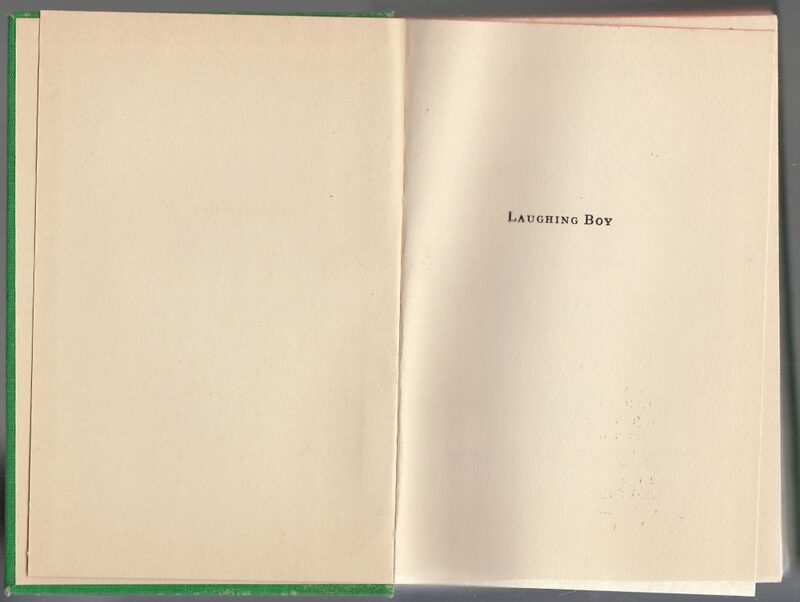 The title page with the date of publication. 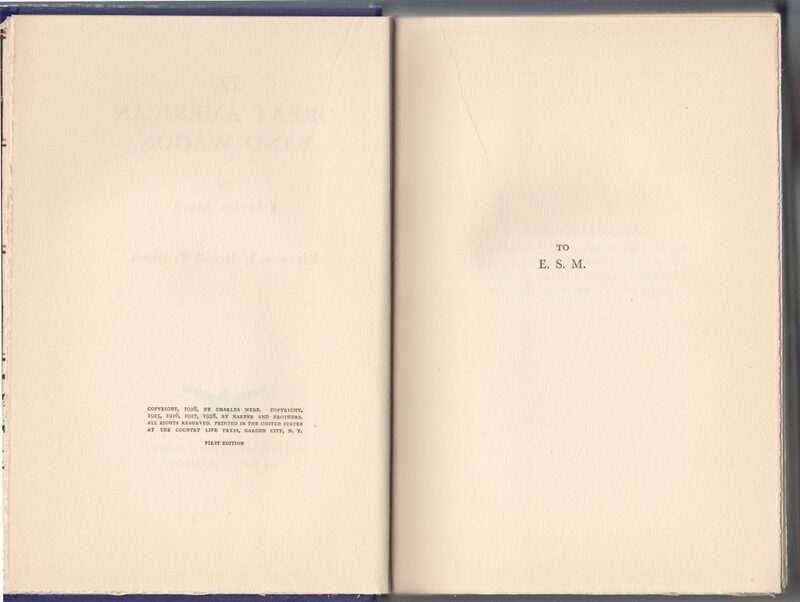 The copyright page also includes the date and copyright to the author. In 1934 unique jackets begin to appear, based on the jacket artwork for the actual publisher’s book. 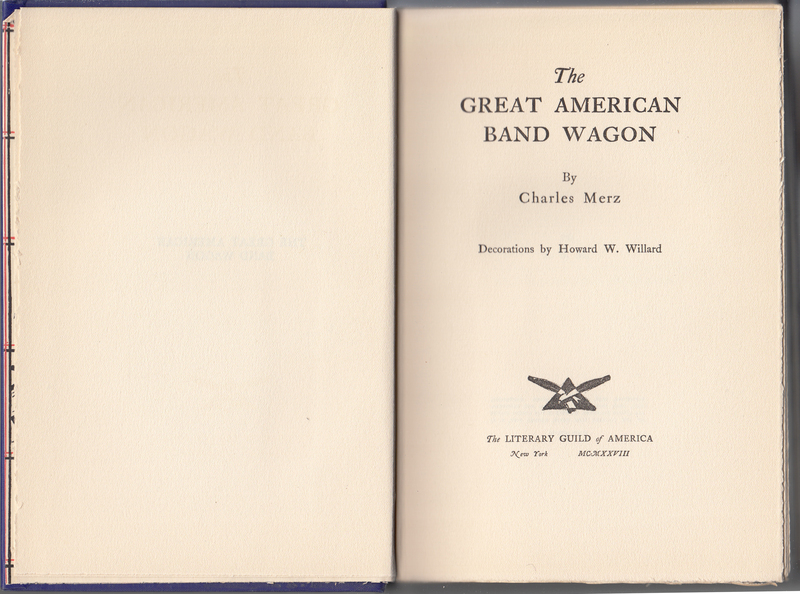 A few titles appear in slipcases.